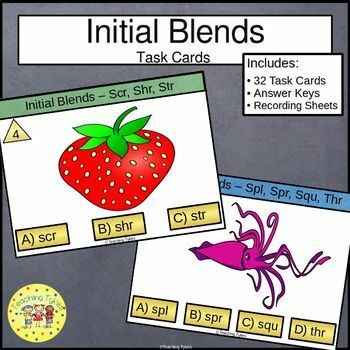 Each Initial Blends Task Card has a picture and initial blend choices. 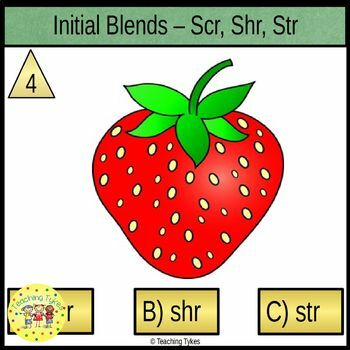 Students choose the correct initial blend choice. 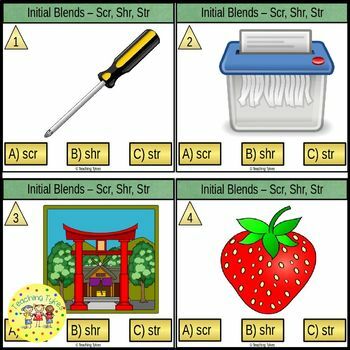 This set of 32 cards provides practice for Scr, Shr, Spr, Str, Spl, Squ, and Thr. Your students can track their own performance with the answer key - YES! !A terrific Hands-On Activity your kiddos will love! 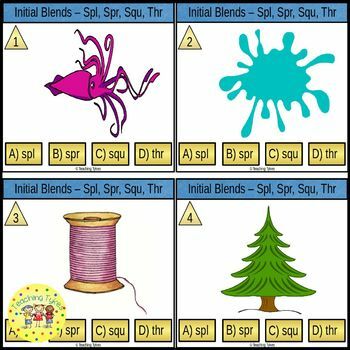 ★ Check out my other ELA Resources! If you have a question, please contact me through Q/A. If you and your kiddos enjoy this item, please leave feedback letting me know.